What Is Jigging All About? While no one can say exactly when jigging began, it is a fairly easy concept to understand. Jigging is moving the hook in the water in an up and down motion that mimics a fish's prey. A jig is a type of fishing lure that is specifically designed to be jigged. It usually consists of a weight (called the head) that is molded onto a hooks, and is dressed with hair, feathers, silicon, soft plastic, and/or live bait. When Is Jigging The Right Way To Fish? Jigging is an effective way to impart action into artificial or live bait. It can be very versatile, but there are times that jigging is preferred over other methods. Since jigs have a weight on them, it's usually most effective when targeting fish that are feeding on or near the bottom. It's also a good method for catching inactive or pressured fish because the jig can be worked very slowly and remain in front of a fish for an extended period. There are times when fish, for various reasons, are more receptive of a bait that is worked vertically as opposed to a horizontal presentation. This is another time that a jig can out-produce other types of presentations. What Kind of Fish Can You Catch When Jigging? A jig is such a versatile lure that it can be used to catch an extremely wide variety of fish. There are, however, several species where a jig as one of the most popular methods of catching them. Walleye got their name from their large light sensitive eyes. For this reason, they are usually found near the bottom in deeper water than most other freshwater species. This makes them a prime target for a jig. 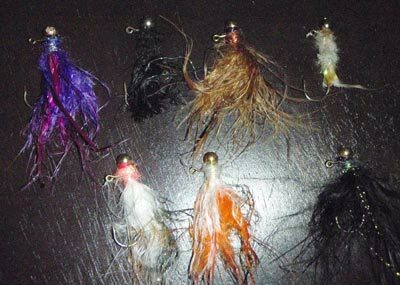 Bucktail jigs or jigs with soft plastic grubs are popular amongst walleye anglers. Try adding a live minnow or worm to these jigs to increase their appeal. 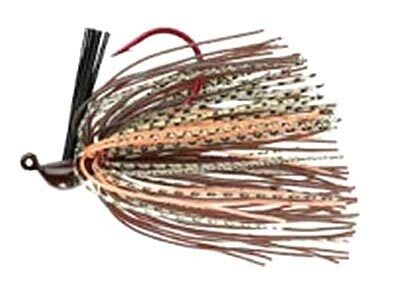 Flipping jigs are the most popular way of catching largemouth bass. They feature several strands of coarse plastic strands that extend from the head of the jig. These strands are stiff enough to protect the hook from getting snagged on logs and weeds, but soft enough to allow the hook to penetrate a fish when the angler sets the hook. This enables them to be fished around logs, docks, and heavy weeds where largemouth bass often inhabit. Tube jigs are an easy option for catching smallmouth bass. Simply drag them along the bottom as the boat drifts over fish-holding structure. Jigs are an often overlooks bait for trout. Small jigs with a soft plastic grub or minnow imitation can be especially effective for brook trout. Try using them along undercut banks and slack areas adjacent to fast current. 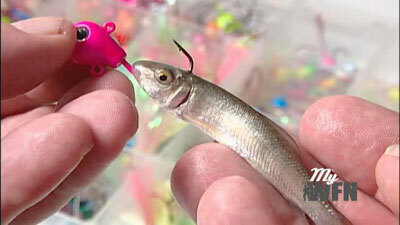 Vertically jigging tube jigs is a popular method for catching lake trout in deep water. Locate the fish with a sonar and lower the jig to the appropriate depth. Then jig it up quickly and allow it to slowly sink back down before jigging again.